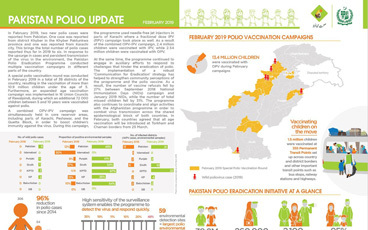 Pakistan polio eradication programme has achieved significant progress in recent years, thanks to renewed government commitment and revitalized community ownership. However, in cities like Karachi, poliovirus continues to be detected. Working to overcome the virus once and for all, the polio programme an emergency action plan in January 2018. Since then, the geographical scope of the virus has been noticeably reduced. 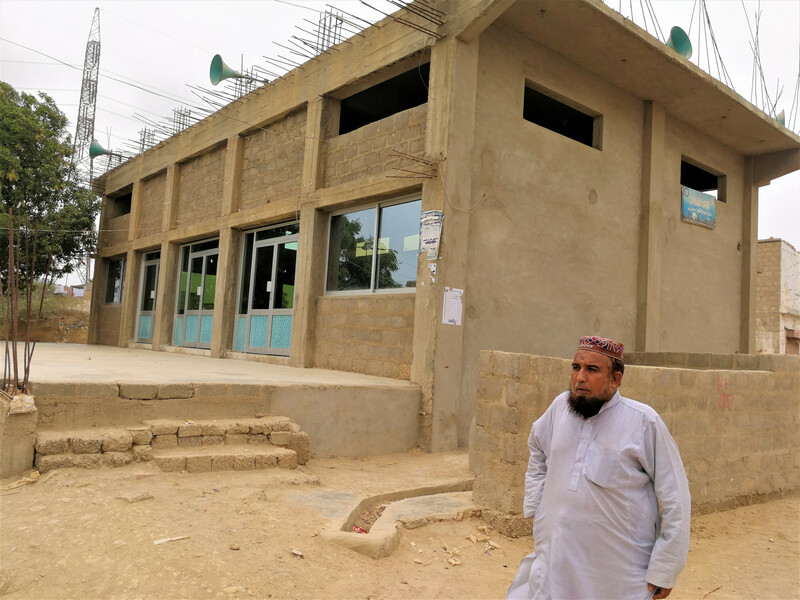 Much of this progress is thanks to religious leaders like Imam Qari Mehboob, who has spent years building trust and demand for polio vaccination in some of the most difficult areas of the city. Gulshan-e-Buner is in the eastern corner of Karachi. The town includes some of the most impoverished and high-risk populations of the city. Playing in the streets, playgrounds and compounds that wind up and down the hilly landscape are around 2200 boys and girls under five years old. 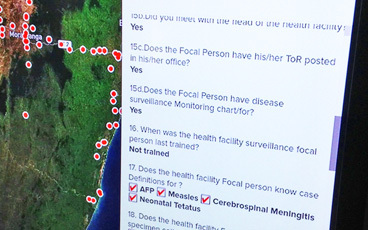 The places where they learn to crawl, walk, and run are perfect hiding spots for the paralysing poliovirus, but the last detection in the environment was in June 2016. No child in Gulshan-e-Buner has been paralysed by polio since 2014. In a community where vaccine refusal has sometimes caused problems, this represents a dramatic transformation. 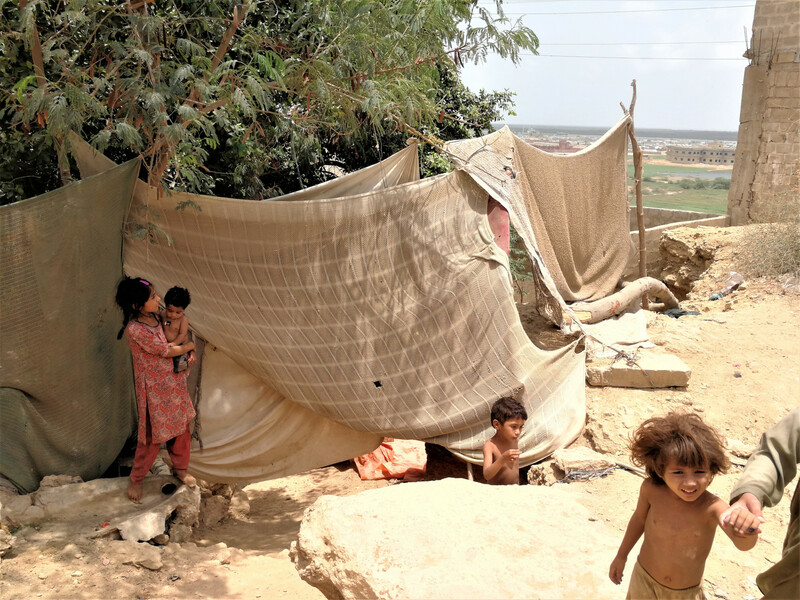 Gulshan-e-Buner is one of the high-risk areas of Karachi where the polio programme first began community-based vaccination. Religious leaders helped to identify and recruit female vaccinators to reach every child with vaccines, and the area seemed well on the way to becoming polio-free. 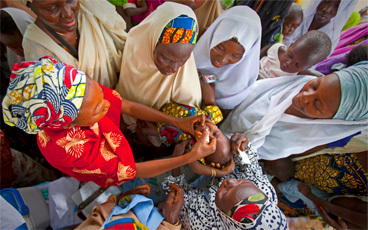 Then in 2012, an attack on health workers caused vaccination activities here to stop. In the years since, the commitment of religious leaders to ensure security, restore access, and build community trust has been crucial to defeat the virus. Iman Qari Mehboob is 50 years old, a migrant from Khyber Pakhtunkhwa like most of his neighbours. He calls the community to prayer five times a day, and teaches many of the youngest children in the town. 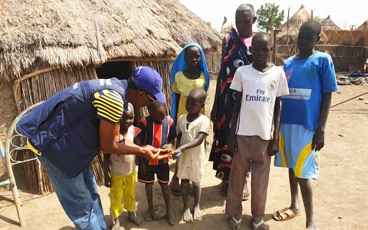 A father of four children, he is devoted to keeping them and all the other children in his community safe from the poliovirus. His support of the polio programme has helped increase vaccine trust, boost uptake of routine immunization services, and spark conversations about the vaccine. 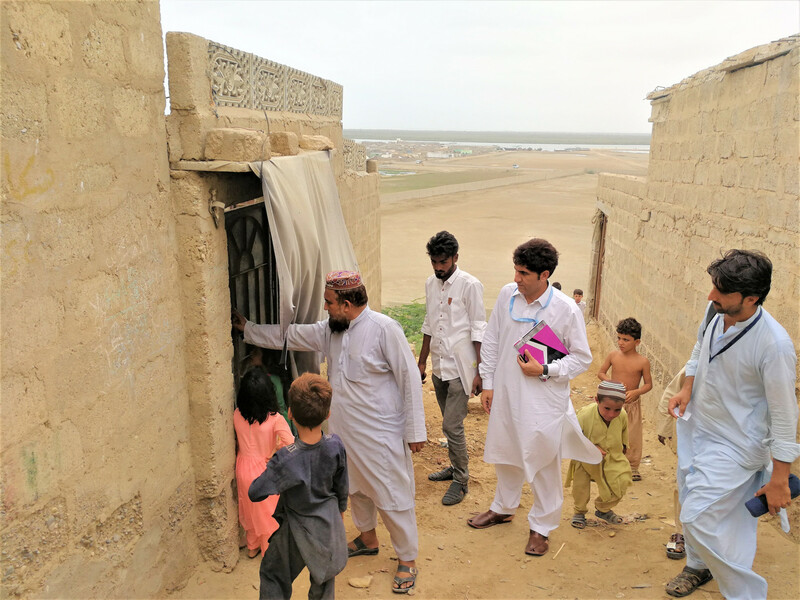 During every polio vaccination campaign, Qari Mehboob goes from house to house with vaccination teams to check for any unvaccinated children. He speaks to parents who refuse the vaccine for their child, reassuring them that it is safe and effective. 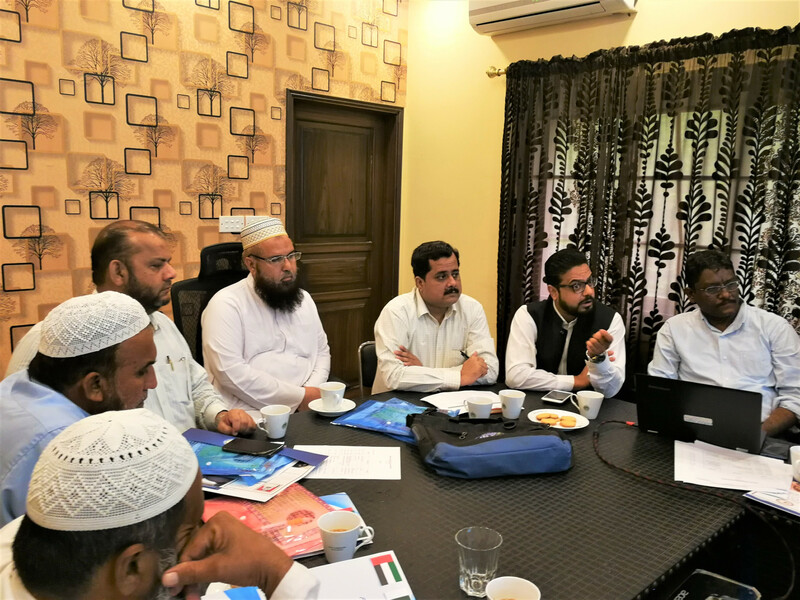 He conducts his work under the guidance of the National Islamic Advisory Group for Polio Eradication (NIAG), which educates religious leaders about polio eradication and the unique and important role they can play in protecting all Pakistan’s children from polio. Under the guidance of NIAG, religious leaders are trained on the basics of social mobilization, communication, health, and hygiene. 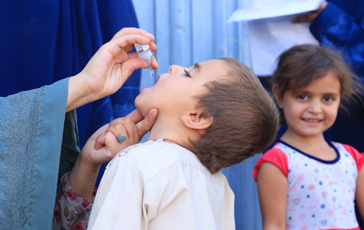 They also learn about the religious justifications for polio vaccination, including examining the arguments and fatwas of influential religious scholars. Reflecting on his training, Qari Mehboob says, “The toughest job [for the NIAG trainers] is to convince religious clerics because their denial and doubt is deep rooted, but the collective Fatwa [scholarly verdict] of prominent scholars helps a lot”. 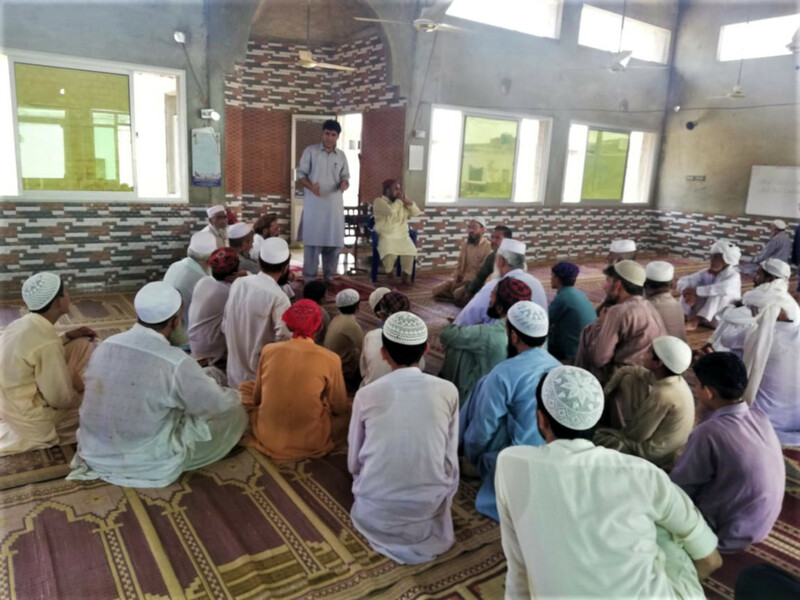 Since his training, Qari Mehboob has organised community engagement sessions to raise awareness about the dangers of the poliovirus. He often makes vaccination a central theme during his sermons at Friday and Eid prayers. “I face less resistance because most of the people here know me personally and they rely on me because of my status as a religious cleric.” he says. 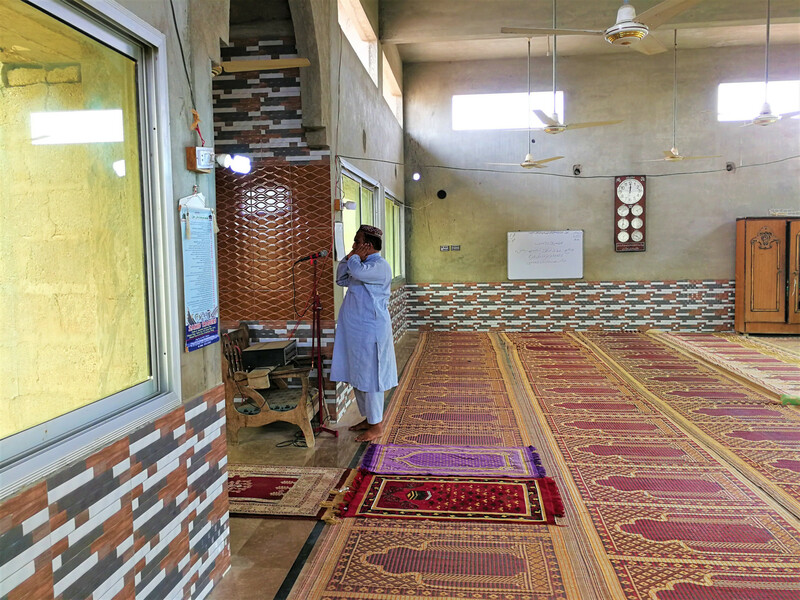 Qari Mehboob also uses the power and platform of his mosque to amplify his voice. He means this literally – sometimes he can be found using a loudspeaker. That’s so that mothers working inside compounds and homes can hear his messages, as well as the fathers who attend prayers. 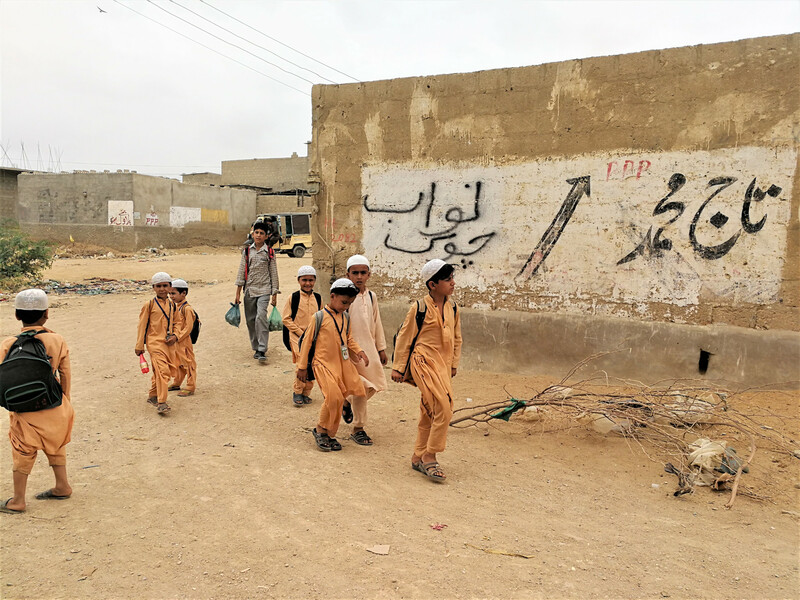 He doesn’t just speak about polio eradication, but also educates his community about personal hygiene, routine immunization and importance of education in Islam. 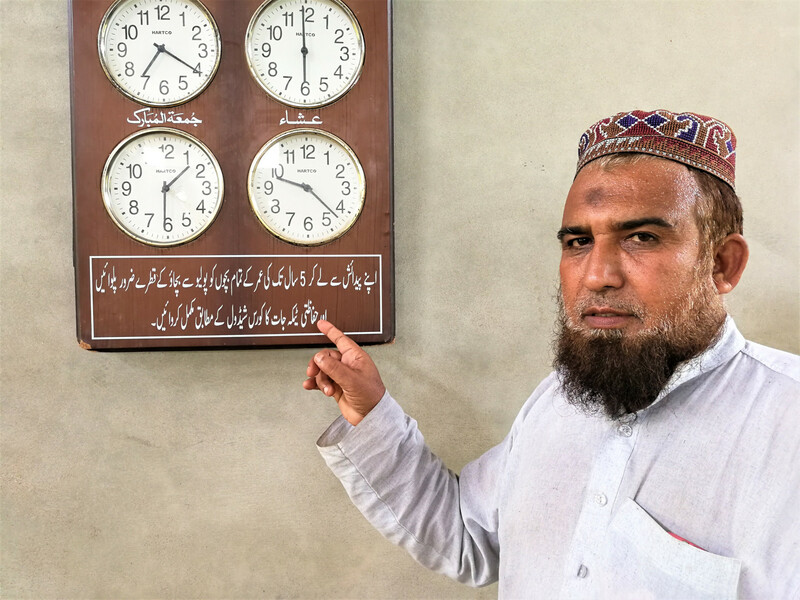 To thank him for his work, the provincial polio eradication programme team gave Qari Mehboob a clock during a Mosque promotional activity a few years ago. Below the time lies a message emphasising the importance of vaccination. Now displayed prominently on the wall of the mosque, the gift reminds parents why the polio vaccine is one of the best gifts that they can give to their children. 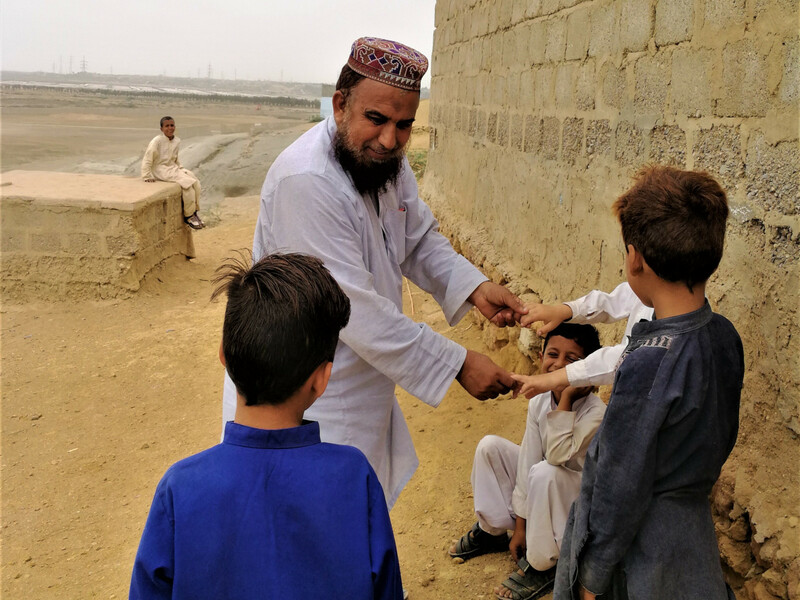 Back out in the streets of his town, Qari Mehboob laughs with local children as he checks their finger marking to make sure that they are vaccinated. 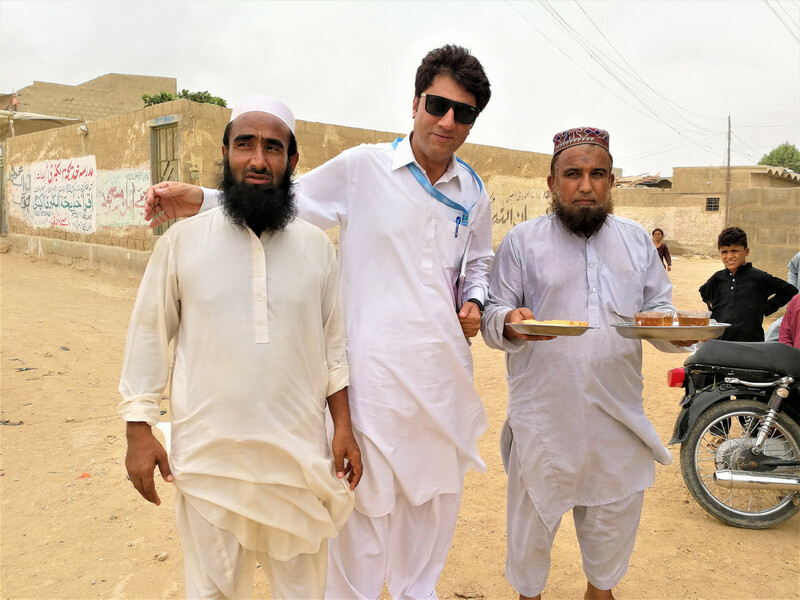 At the end of the day’s campaign, Qari Mehboob offers tea and cookies to members of the provincial polio eradication programme team. 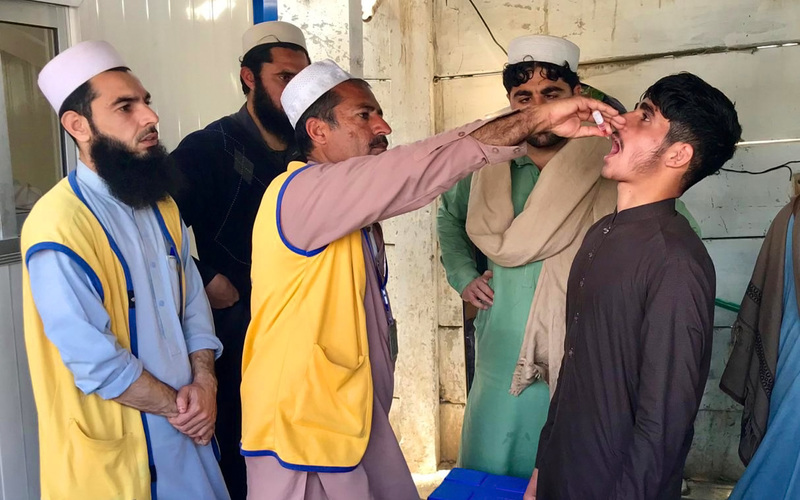 Since he joined the programme, vaccine refusals in Gulshan-e-Buner have dropped by 50%, and far more children receive their full polio vaccine doses on time. Reflecting on the impact of his work, Qari Mehboob returns to his desire to keep all children safe. “I feel an extreme level of contentment after I contribute my part in the programme,” he says.